The MJC condemns the murder of 52 Palestinians on Monday and commend the South African government for withdrawing its Ambassador from Israel.Zionist Israeli forces fired live ammunition at unarmed civilians who defended their right to return to their homeland. Amongst the martyred is a 12-year-old boy and a man in a wheelchair. Over 1,700 protesters were injured. Once again the Zionist state of Israel is in breach of international law. This genocide cannot be allowed to continue unabated. We call upon the United Nations to investigate this and other similar incidents and prosecute those responsible. We commend the South African government for withdrawing its ambassador to Israel. We sincerely hope that it will be a permanent move in solidarity with the plight of unarmed Palestinians who are murdered by Zionist forces on an almost daily basis. We call upon other governments to show similar disgust at the Zionist regime’s disregard of international law and human life. Despite today being the deadliest attack by Israel on Palestine since March 30, Palestinians vow they will return to their homeland and we wholeheartedly support them in their true and just cause. 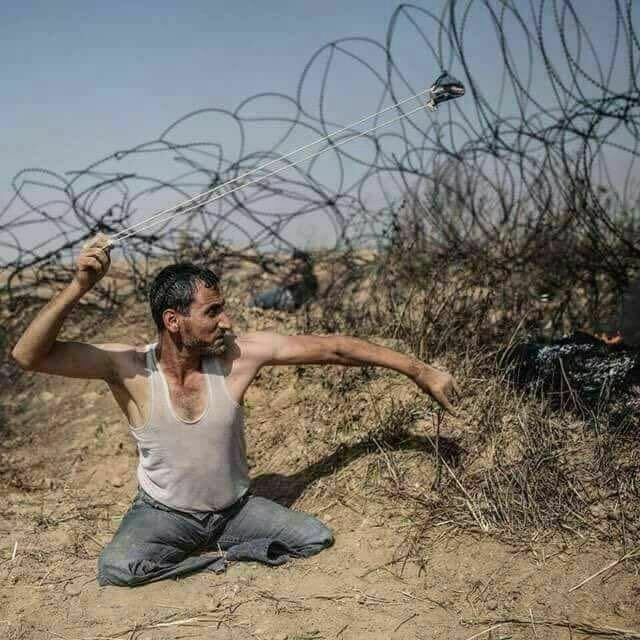 “Today is the big day when we will cross the fence and tell Israel and the world we will not accept being occupied forever,” said Gaza science teacher Ali, who declined to give his last name to the media. “Many may get martyred today, so many, but the world will hear our message. Occupation must end!” he said. Meanwhile, Cape Town will show support for fellow Palestinians on Tuesday, 15 May as they march in their thousands from Kaizergracht Street to Parliament.